6 Home Remedies for Urinary Incontinence That Work a Treat! 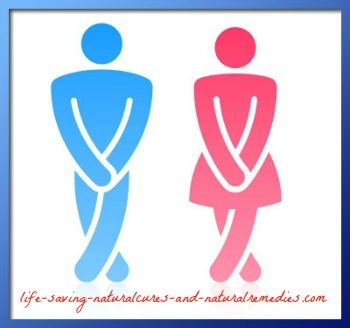 Hello, and thank you for your question regarding natural and home remedies for urinary incontinence. Firstly, urinary incontinence is actually very common and according to the National Association for Continence (NAFC), affects around 25 million Americans. It can initially be caused by a number of reasons including age (bladder muscles weaken with age), weakened pelvic floor muscles as a result of surgery or childbirth, enlarged prostate for men, menopause for women, over-active bladder, urinary stones/urinary tract infections, nerve damage and constipation. Urge Incontinence – This occurs when an over-active bladder causes a strong urge to urinate causing an uncontrolled loss of urine. Stress Incontinence – Mainly happens when doing physical activities such as vigorous exercise and jumping. Other bodily functions such as coughing, sneezing and laughing put pressure on the bladder, causing it to release urine as well. Overflow Incontinence – This is when you are unable to completely empty your bladder and causes frequent or continual dribbling of urine. Regardless of the type of urinary incontinence, there are some excellent natural and home remedies that really do work a treat. #1. Apple Cider Vinegar (ACV): This is definitely home remedy number one! In fact, it's rare that someone suffering from incontinence doesn't receive a big and very noticeable improvement from taking some ACV every day. It works by balancing out the body’s acid/alkaline level (pH) and clearing up any urinary tract infections. ACV also helps you to lose weight. Excess weight is another major cause of incontinence (the excess fat around the hips and stomach push on the bladder causing unwanted urination). There are two ways to get your apple cider vinegar every day. You can either take the liquid ACV or the capsules. Both work equally as well so it's just a case of what's easier for yourself. Just make sure the ACV is organic and still contains the "mother" apple. This is crucial for it to work. With the liquid, take 1-2 tablespoons first thing in the morning in a glass of warm filtered water (you can add some natural honey for taste if you like), then repeat again in the evening on an empty stomach. With the capsules, take 2-4 (or more) per day morning and night. #2. Magnesium: A 1998 study published in the British Journal of Obstetrics and Gynecology found that women suffering from urge incontinence can be successfully treated with supplemental magnesium. This is not surprizing as magnesium is essential for muscle relaxation. In addition, magnesium has been found to significantly reduce bladder muscle spasms, which is also important for people who suffer from urinary incontinence. 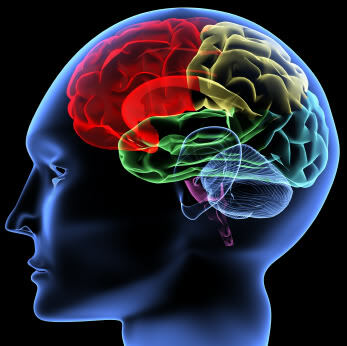 most absorbable) magnesium comes from a unique product called Natural Calm. Not only does it help to relieve incontinence, it also relaxes, de-stresses and increases sleep quality dramatically. You can check it out here if you're interested... Natural Calm. #3. Pelvic Floor (Kegel) Exercises: These exercises are simple and work exceptionally well. If you're not sure what or where your pelvic floor muscles are simply do this to locate them... Whilst emptying your bladder, stop half way through for a few seconds then restart again. The muscles you used to do this are your pelvic floor muscles. Tighten your pelvic floor muscles and hold for 8-10 seconds. If you can't hold for this amount of time then simply hold for as long as you can (you'll gradually build up). After 8-10 seconds relax the muscles for an 8-10 second rest. Do this combination a total of 12 times, 3 times per day. Remember that while doing the pelvic floor exercise, keep the muscles in your abdomen, thighs and buttocks relaxed. Breathe normally during the exercise and avoid holding your breath. Oh, and be sure to empty your bladder before you begin. #4. Vitamin D: Studies have shown that women with higher levels of vitamin D in their bodies have a much lower risk of developing urinary incontinence. Vitamin D is essential for muscle development and strength! So make sure you get out in the sun for 20-30 minutes a day and take a good quality vitamin D3 supplement at around 2,000-3,000 IU per day. #5. Nutmeg: This is an old folk remedy for incontinence that works a treat. Simply take 1/4 to 1/2 a teaspoon of nutmeg with some water twice daily. You'll notice major improvement in your urine incontinence within about 4-6 weeks. #6. Meditation and Yoga: A 2014 study found a 6-week yoga therapy program helped to control urinary incontinence in women by an amazing 70%. And another study found that meditation associated with deep breathing and guided imagery helped to reduce the average number of urge incontinence episodes in study participants from 38 per week to only 12. - Add more fiber to your diet. - Drink enough water throughout the day. - Avoid alcohol and caffeine. - Exercise moderately for 30-40 minutes a day, 5 days a week. - Avoid citrus fruits, tomatoes, hot peppers and spicy dishes as they can irritate the bladder. - Try to maintain a consistent urinating schedule. Every 2 to 4 hours is ideal, even if you don't feel like going. Comments for 6 Home Remedies for Urinary Incontinence That Work a Treat! Troy, thanks for your beautifully written suggestions. I have been doing some of these but not all. Trying the ACV starting tomorrow. Thanks again. Following up on Natural Calm Magnesium... may I recommend a product that I use personally, it's called ReMag (it's in liquid form). It relaxes the muscles in one's entire body if taken regularly so one sleeps well, is truly "calming", digests food properly, and of course, handles incontinence beautifully, along with a host of other "pluses". I found out about it when I read the book The Magnesium Miracle and contacted the author's site... Dr Carolyn Dean. ReMag is very potent. 2 tsps a day in water will truly work like a miracle in so many ways. Delivery is direct to the cells and is immediate since it's created in pico meter size, smaller than anything so far developed so it doesn't have to go through the digestive track. It also has no laxative effect, as many magnesium's tend to do. Yes, ReMag is truly a revolutionary magnesium product. We had the privilege of interviewing Dr Carolyn Dean not so long ago and she spoke at great length on the benefits of magnesium and her ReMag product. You can read the full interview transcript here... Powerful Interview With Dr Carolyn Dean. Excellent remedies! I have been going on earthclinic.com, which also mentions some of the remedies here. Was taking Chinese herbs from heaven and earth which helped me with oab and cataracts 100%. Problem was, they merged with a partner and the cost has doubled 4 times, which I can no longer afford, but the herbs worked. Do you know any Chinese herbs websites? I payed $57.00 for 400 capsules, now it is $249.00. The pet herbs went up $6.00 only. Have you heard of nutmeg and red raspberry tea for helping incontinence, which I read about? Thank you. Love the web site! Hi Terry. 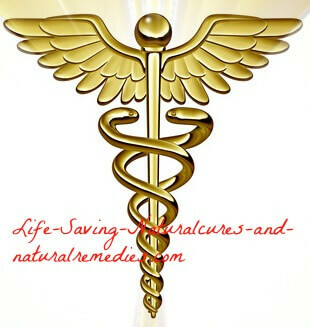 I don't know of a good Chinese herbal medicine website as such, however, chineseherbsdirect.com is a popular one. I'm not sure just how good they are though. Mountain Rose Herbs (mountainroseherbs.com) are a very good and trusted herbal retailer that I've used in the past. Not sure if they will have what you're looking for though. In regards to using nutmeg and red raspberry for incontinence, yes these herbs/spices also help tremendously. We list nutmeg at #5 because it's easy to find and works so well. Red raspberry tea is a little harder to come across but most health food stores do stock it. Terry, that is a real bummer with such an upcharge. I like Chinese Herbal Medicines... but truly the best is a product called ReMag. The price of this has not fluctuated for me in 3 years ($29.99 US for 6 ounces). Start slowly at 1/3 tsp twice a day for a few, then work up to 1/2 for a few and then bounce up to 1 tsp twice a day in 8 ounces of Himalayan salted water. The trace minerals in the Himalayan pink rock salt bind with the magnesium (ReMag and only ReMag) and arm in arm, they enter the cell. The portals open immediately when they recognise the picometer sized particle coming their way. Calcium gets sent on it's proper path for bones, hair, nails and teeth... not calcifying soft tissue which the opening and closing device in the bladder is all about. Incontinence, while annoying, can be managed, but if one's habits don't change or if one does not take in enough magnesium this deficiency can lead to gallstones, kidney stones, and arterial plaque. Just call the Dean Dream Team at www.rnareset.com and their superior customer service folks will answer any questions no matter how small. If you are not ready to do this just on my suggestion then by all means use the Googler and Google Dr. Carolyn Dean and incontinence. There are hundreds of links. Do set aside a bit of time as you will be intrigued with the wonderful professional information just waiting to be read and of course acted upon. Good luck to you Terry! It has been 3.5 months since I began using Braggs Apple Cider Vinegar along with nutmeg and the other 4 recommendations. The results have been great! It did take about 3 months before I saw a significant change. Thank you for these suggestions!! You're very welcome Garry. Glad they're helping. Great advice. You can also read more about Dr Dean and her amazing ReMag supplement in our exclusive interview with her... Stunning Dr Carolyn Dean Interview. Which natural calm do you recommend? There are several at that link. They are all basically the same except for flavors. Go for the one without the extra calcium though as this does seem to work slightly better... Natural Vitality Natural Calm. I actually cried for the first time today because of this problem and then when talking with a friend I Googled this information. Thank you for giving me new hope and thank you for listing so much help and information. You're most welcome. Hope it helps.